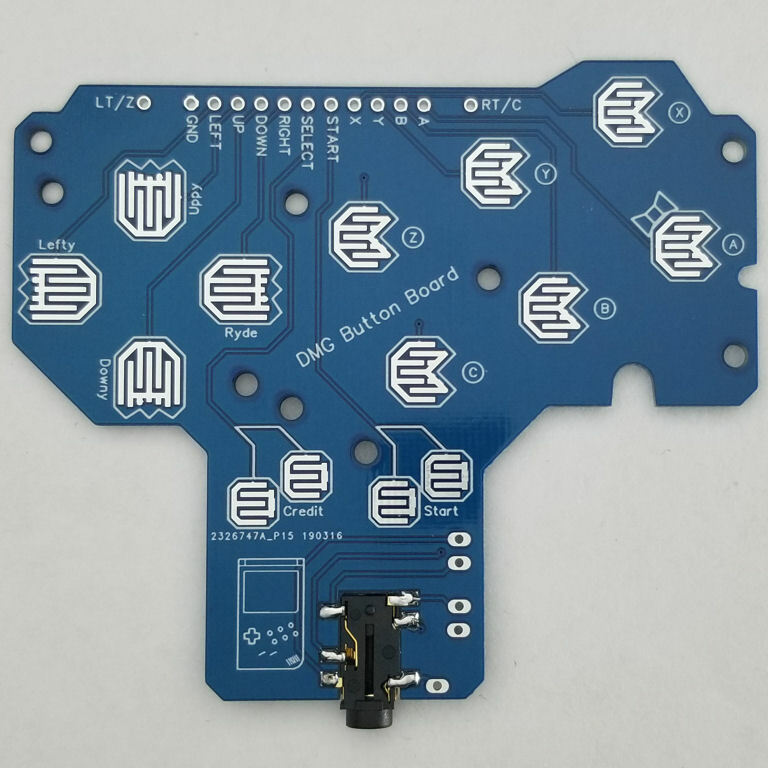 This DMG Button Board is a fun take on an essential Game Boy Zero component. It features the usual Up, Down, Left, Right, Start, Select, A, B, X and Y pads, but it also includes an optional pair which can be used for either C and Z, or the Left and Right shoulder buttons. 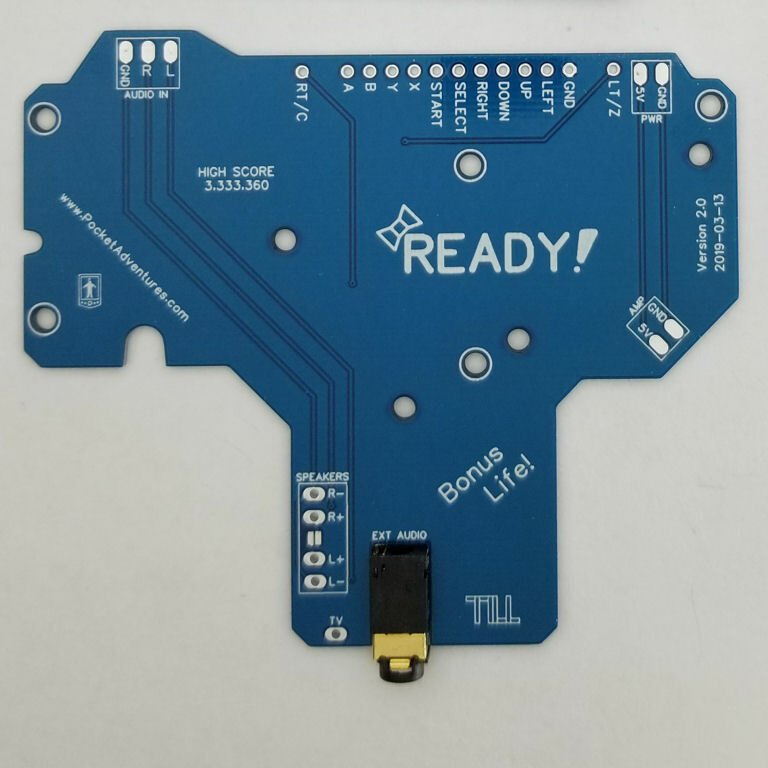 This can make building your device easier if you don't want to drill through the rear side of the shell and acquire separate shoulder buttons components. The wiring pads at the top align with the pads on the GPIO Assist boards, but can be wired directly to your Pi's GPIO pins or a microcontroller just like any common ground button board. The rear side of the board also features some traces to simplify the wiring of your audio components, and includes an integrated headphone/speaker jack for external output.